Did you know Charles Dickens gave his first public reading of A Christmas Carol at Birmingham Town Hall? 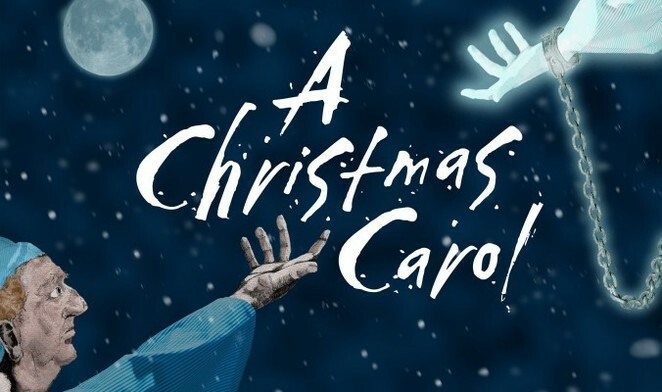 Well, the festive classic has certainly stood the test of time, and it's back this year at the REP Theatre adapted by Bryony Lavery. My earliest memory of Dickens, was sitting in the living room with my sisters, snuggled in a few blankets our parents would toss over us on such evenings, to make it more cosy. I love Dickens' A Christmas Carol; I used to watch it every Christmas. It always reminds me of the home we first lived in. As a child, I was always scared of Ebineezer Scrooge. I'm not sure if that fear ever left me. As an adult, I can imagine the theatre Ebineezer Scrooge being just as frightening in the flesh. Nonetheless, the REP Theatre are putting on a production which will be showcasing their production of Dickens classic novel. Of course there will be the familiar characters: Bob Crachet, tiny Tim - I loved them in my youth. Based on the theatre's reputation I've no doubt their adaptation is a huge success. From what I've read of the reviews, it seems it will be a box office hit. At the very least, it will pay homage to Dickens most successful story, and hopefully raise a few smiles, laughs, and tears of joy. Recommended for children aged seven and up, the production lasts two hours and five minutes. Showings vary across December and January; the earliest show begins at 10.15am, and the latest is 7.30pm, so you can enjoy it at a suitable time.